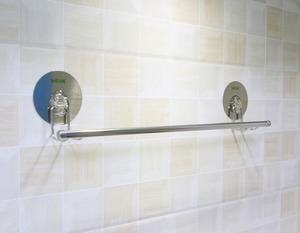 ,LTD is located in Shuikou, Kaiping City, Guangdong Province, a World famous production base of sanitary ware. 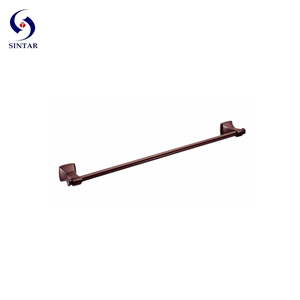 SINTAR offers all-out support to oversea market, our sales network cover many countries and regions from Europe, South America, and Southeast Asia, etc. ---- With our finally inspection for the cargo,we go ahead for the shipment. 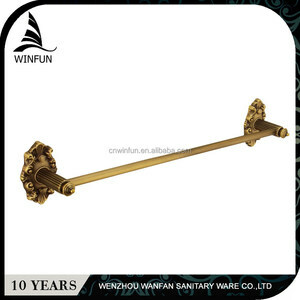 Wenzhou WANFAN Sanitary Co., Ltd.
Guangzhou Yumore Hardware Co., Ltd.
Dongguan Jiaming Metal Products Manufacturing Co., Ltd.
bronze suction towel bar 1.Material of bronze suction towel bar :zinc alloy,aluminium alloy,iron,brass 2.Process of bronze suction towel bar :die casting,stamping,screen printing,enamel filling,etc 3.Plating of bronze suction towel bar :gold,silver,brass,antique,etc 4.MOQ of bronze suction towel bar :500 sets 5.Packing of bronze suction towel bar :1pcs/ppbag/box; 6boxes/ctn 6.Payment of bronze suction towel bar :mold fee prepaid;30% deposit before production,70% balance against the copy of B/L 7.Shipment of bronze suction towel bar : by sea;by air;by international express Photo of bronze suction towel bar Packaging & Shipping Thank you for your visiting,and welcome your inquiry! Ningbo Swan Sanitary Co., Ltd.
Yiwu Xinli Sanitary Ware Co., Ltd.
or it is 15-20 days if the goods are not in stock, it is according to quantity. Q: Do you provide samples 9 is it free or extra 9 A: Yes, we could offer the sample for free charge but do not pay the cost of freight. Q: What is your terms of payment 9 A: Payment&lt;=1000USD, 100% in advance. Jiangsu Xihao International Trade Co., Ltd. 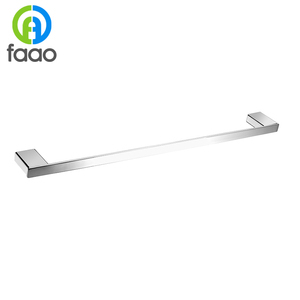 Elegant Home Industries Co., Ltd.
Jiangxi V9 Import And Export Trade Co., Ltd.
white bathroom accessories/plastic suction bathroom accessories/bathroom accessories in dubai 1.Never rusty 2.High quality,brass/aluminum/ss/zinc etc. 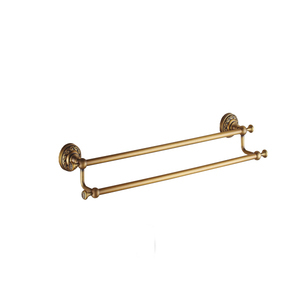 What it specifications of our white bathroom accessories 9 Type white bathroom accessories Installation wall mount Material brass/aluminum/ss/zinc etc. 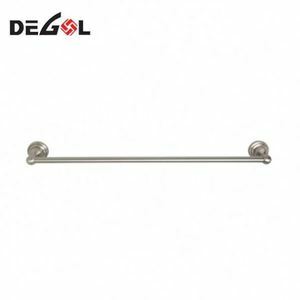 Treatment Polished Surface finished chrome plated, and other finished are offered such as brushed nickle,bronze,oil rubbed bronze(ORB),black nickle etc. 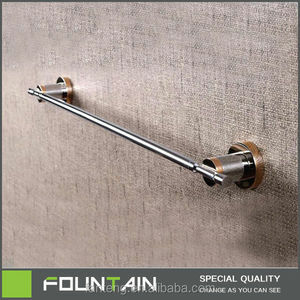 Type wall mounted american classical style antique bronze suction towel bar Item No. KD-9501 Material H65 brass pipe Finishing antique bronze with satin Accessories Zinc base, SUS304 fixed part Plating acid salt spray test &ge; 24 or 48 hours Plating thickness chrome &ge; 0.25&micro;m, nickel &ge; 8 &micro;m Or per your request Certification ISO9001:2008 After-sales service 5 years warranty Customized OEM & ODM are welcomed MOQ 1-200pcs N. 10, Capacity 500000pcs per month 11, Certification ISO9001, cUPC, Wras, watersense, ISO14001 12, Warrantly 5 years Fujian Kedah Sanitary Ware Co.